FLOWERY BRANCH, Ga. – With no clear-cut starter at left guard following the 2018 season, the Falcons had a need to fill in the offseason and the addition of James Carpenter is at least a start. When Andy Levitre was placed on injured reserve after only playing two games in 2018, Wes Schweitzer stepped in and started at left guard after spending the previous season starting at right guard. The Falcons haven’t re-signed Levitre and Schweitzer remains on the Falcons’ roster, but it’s clear after last season the Falcons want to add more competition to the unit. It appears Carpenter has the competitiveness Falcons head coach Dan Quinn wants on his team. The two have familiarity with one another as Carpenter and Quinn won a Super Bowl together in Seattle during the 2014 season. Carpenter was the starting left guard for the Seahawks in both of their Super Bowl appearances (2014, 2015) when Quinn was the defensive coordinator. A former first-round pick in 2011, Carpenter was the No. 25 overall pick in the NFL Draft that year. Similar to Brown, Carpenter transitioned from tackle to guard early on in his NFL career. Carpenter also played with Falcons’ star wide receiver Julio Jones at Alabama where the two won a national championship together in 2009. After his four-year stint in Seattle, Carpenter signed a four-year deal with the New York Jets. He’s shown he’s reliable as he started every game from the 2015 season through 2018 when he was limited to starting 10 games due to injuries and ended the year on injured reserve. Carpenter is another big body to help protect Matt Ryan. He is 6-foot-5 and 321 pounds and has the veteran experience the Falcons were missing inside at guard in 2018. According to Pro Football Focus, Carpenter allowed five sacks, five quarterback hits and 13 pressures, all of which were the lowest among the Jets’ offensive linemen. Ryan was sacked 42 times in 2018, the second-most in his career. Atlanta needs to be better in pass-protection to ensure Ryan gets the opportunities to connect with the weapons he has a tight end and receiver and Carpenter can certainly help in this area. 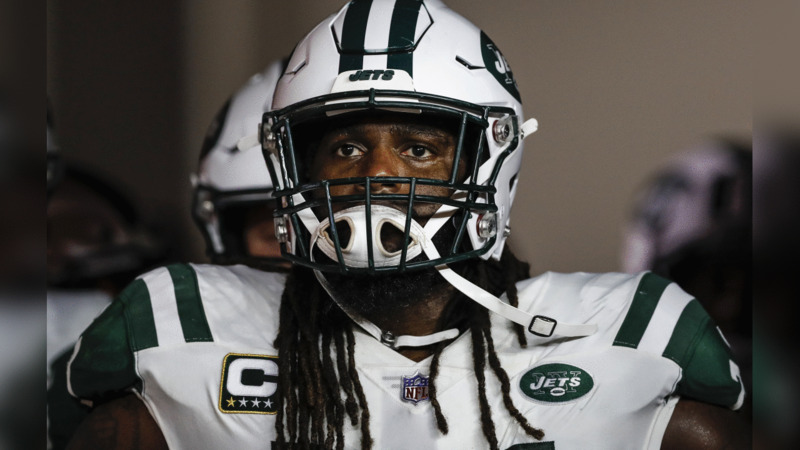 He’s also proven to be a disciplined player, only committing three penalties in his 10 starts with the Jets in 2018.